Organizations with antiquated talent management philosophies will struggle to attract, nurture and retain top talent in 2017. Many HR teams make the common mistake of having decentralized or ineffective systems and processes. 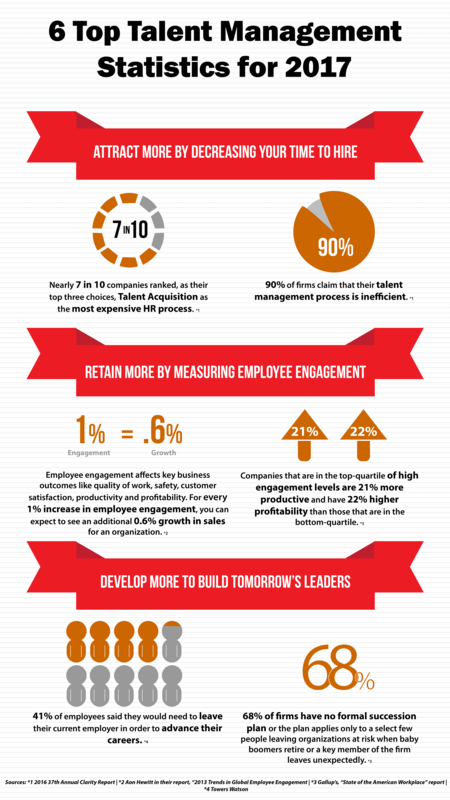 This infographic illustrates six key statistics that demonstrate why HR teams can no longer be reactionary and should evaluate their talent management processes and systems. Interested in learning more about how to overcome the increased competition for talent in 2017? Join our webinar where we will discuss how HR can overcome the top five challenges with talent acquisition.